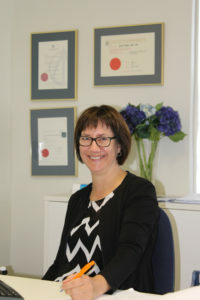 Lynda Stevenson is a Chartered Accountant with her own practice in Ashburton. Lynda specialises in service businesses with a special interest in the alternative health sector. Lynda enjoys applying her skills and experience to add value and make a positive difference to businesses and organisations. Being sight-impaired herself, Lynda has empathy and understanding of the issues facing the DeafBlind community which, when coupled with her extensive financial and business background, makes her a valuable board member. Lynda has been involved with voluntary organisations for many years within her local community. In her spare time Lynda enjoys time with her partner and two teenage children, exploring the outdoors, enjoying the company of friends, delicious wine, great food, music, and travelling.